Andrew Schulman's passion for the healing power of music comes from personal experience. Years ago, Schulman lay in a coma in a surgical ICU, his vital signs dwindling. His wife, Wendy, sat by his side, watching the worried looks on nurses' faces. "I was dying," Schulman told MPR News host Kerri Miller. After three days, his wife asked the doctor if she could turn on some music. He said yes, but only for 30 minutes. She pulled out his iPod and pressed play, with one earbud in her ear and one in his. The first track was the St. Matthew Passion by Johann Sebastian Bach. "It was my ultimate favorite piece of music," Schulman said. "By the time the 30 minutes were up, everyone was looking, because my vital signs were beginning to stabilize ... By that evening, I was out of the woods." Schulman is now a medical musician, who plays guitar for patients at Mount Sinai Beth Israel in New York City. His new book, "Waking the Spirit," explains his experience using music to help patients manage pain and recover from illness. 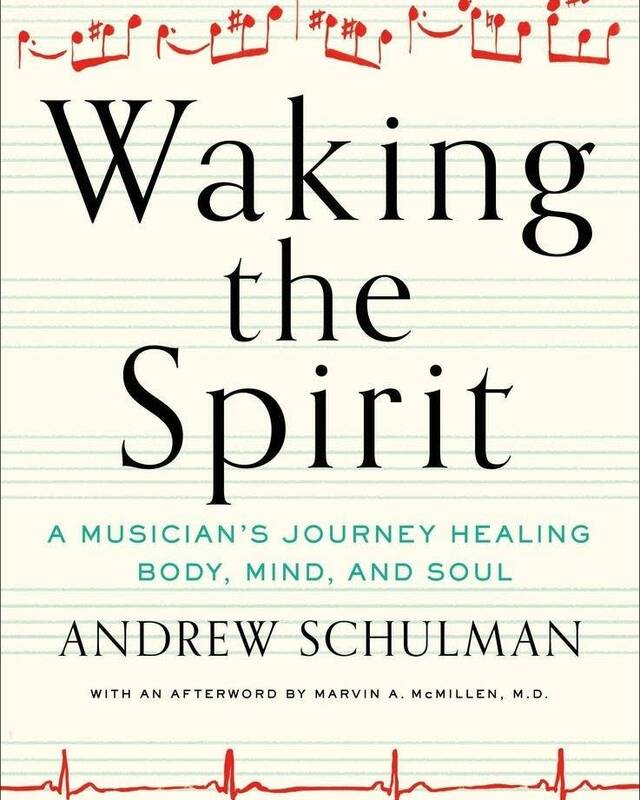 For the full interview with Andrew Schulman on "Waking the Spirit," use the audio player above.